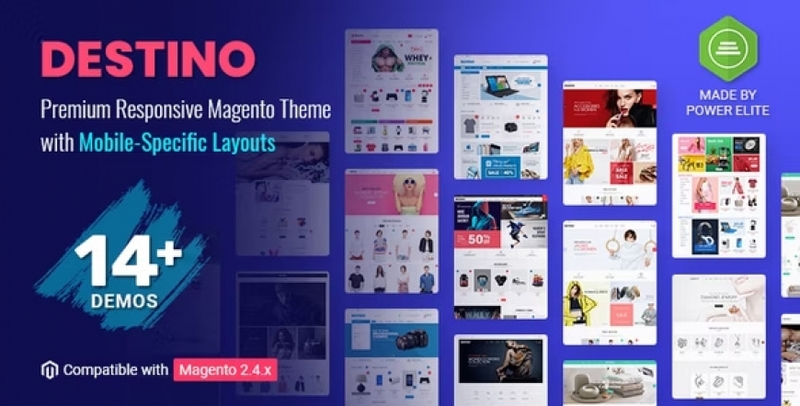 This Magento 2 eCommerce theme comes with 5 awesome homepage layouts and unlimited color styles that offer users a great opportunity to experience multi-design in a theme. 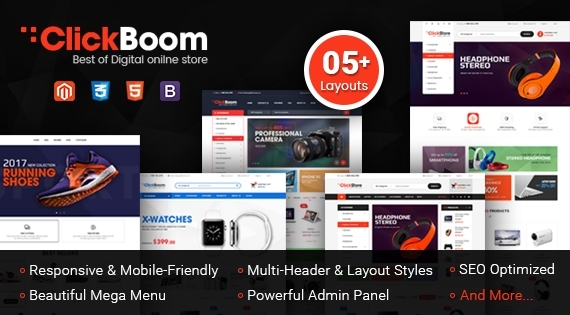 Furthermore, SM ClickBoom supports lots of advanced features like Mega Menu, Product Quick View, Boxed layout.... Especially, with One-click Import Data integration, you will quickly get a complete site exactly our demo site. 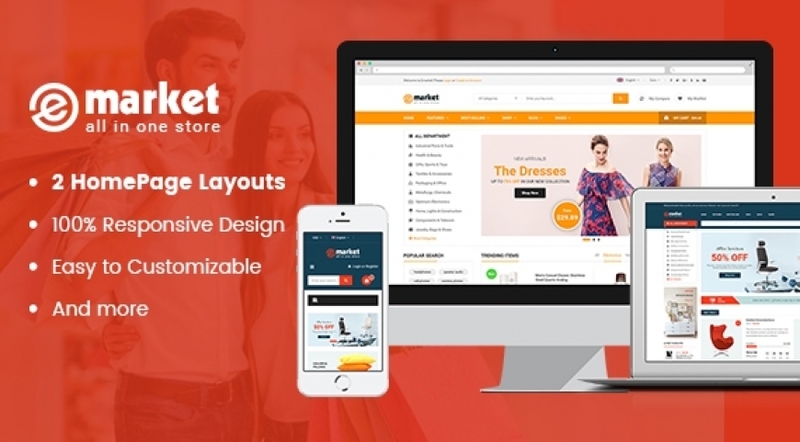 And there are many other excellent features of this professional Magento 2 theme that you can explore HERE! 7. 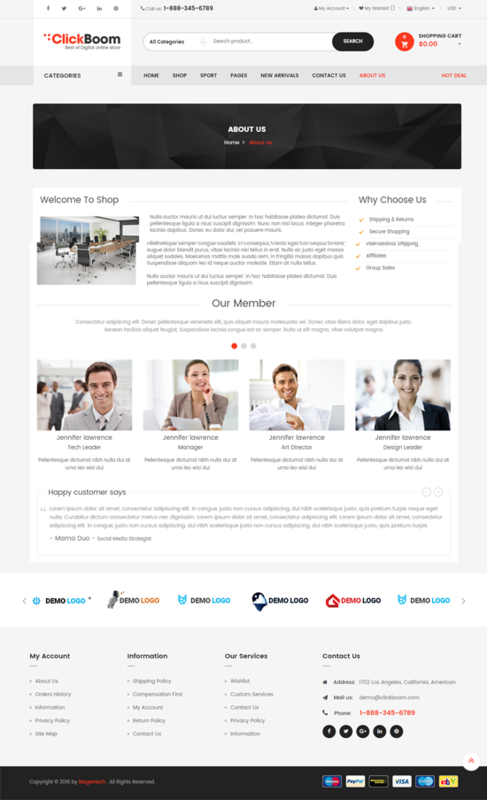 Included extensions: SM Basic Product, SM Mega Menu, SM Quickview, SM Image Slider, SM Listing Tabs, SM Search Box, SM Listing Deals, SM Deal, SM Cart Pro, SM Deal Slider, SM Shop By.